Have the secrets to exercise success in the palm of your hand! You can access Starting To Exercise on your smart phone, tablet, or desktop computer. With easy log-in and simple-to-navigate screens, this online course is designed for adults of all ages. 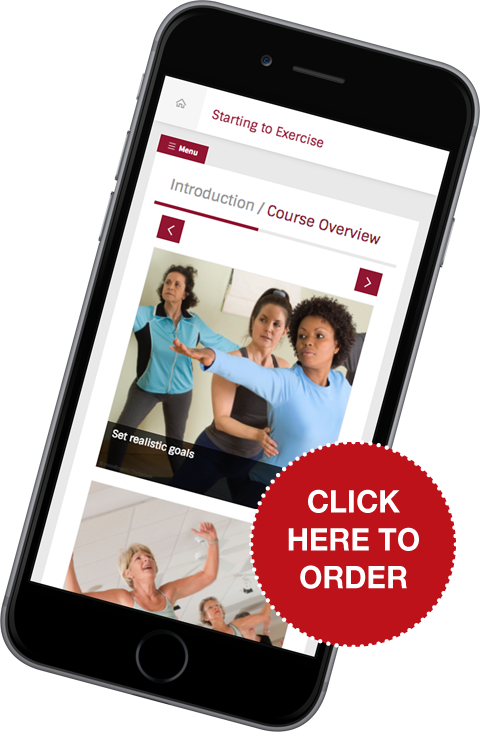 In a NEW online course, STARTING TO EXERCISE, today's leading fitness instructors show you workouts that work...the exercises that will help you enjoy a healthier, more vigorous, and longer life! It's a fact: regular, vigorous exercise can add more than three years to your life! Exercise lessens your risk of heart disease and stroke. It lowers blood pressure, reduces risk of certain cancers, strengthens bones, protects joints, and keeps your mind sharp. This first-of-its-kind course from Harvard Health Publishing brings you exercises that reward your time and effort. You'll master the smartest choices in aerobics and strength training. You'll learn routines for maintaining balance and increasing flexibility. This comprehensive program is designed to give you results you'll see — and feel. 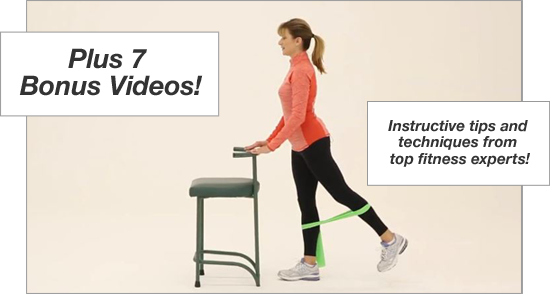 MORE THAN 40 EXERCISES ARE ILLUSTRATED AND DEMONSTRATED! Our instructors are at your command! 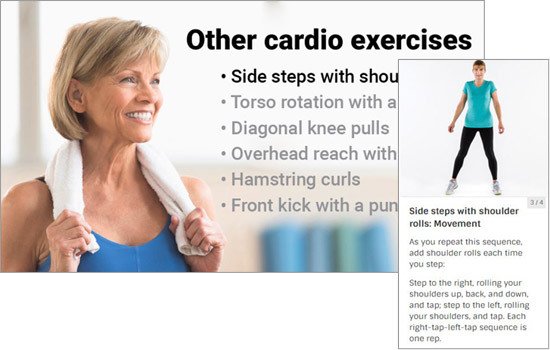 Starting to Exercise makes it easy to search for a specific exercise, swipe to go back or move to the next routine; you can pause a video, or go big-screen on your iPad and share with a workout partner. Including instructive tips and techniques from top fitness experts! These are workouts tailored to help you succeed — and achieve! Invest in yourself! Exercise is the best investment you can make in your health. Make sure you get the greatest return on that investment! Order Starting to Exercise now at the special rate!